Home Boom Gates 8 Benefits of Boom Gates: Do You Want to Improve Security and Privacy, Control Traffic, and Save Money? 8 Benefits of Boom Gates: Do You Want to Improve Security and Privacy, Control Traffic, and Save Money? Boom gates are a great, low-cost way to improve security and privacy, monitor and control the flow of traffic in and out of your property, and save money. But there are many other benefits of boom gates, as you’ll discover below. units, flats and apartment complexes. Here are our top 8 benefits of boom gates. Security is so important these days for commercial and residential properties. By installing a boom gate you can approve or deny entry to vehicles entering your property based on their credentials. If you don’t want a vehicle to enter your property, they can’t. With a boom gate, you can also monitor and record the registration details of every single vehicle that enters and leaves your property. Boom gates are the best way to control the flow of traffic on and off your property. This is important for properties with limited parking spaces that often attract a lot of vehicles. A boom gate also allows you to control how many vehicles are on your property at any given time. And if your car park is full, you can prevent further entry. A boom gate will save you money on security costs in the long run. You will have a one-off cost to install the boom gate security system, but once it’s installed it is very low cost and low maintenance. By installing a boom gate you can often remove your need for a security guard. This means that you won’t have ongoing security costs once it’s installed. 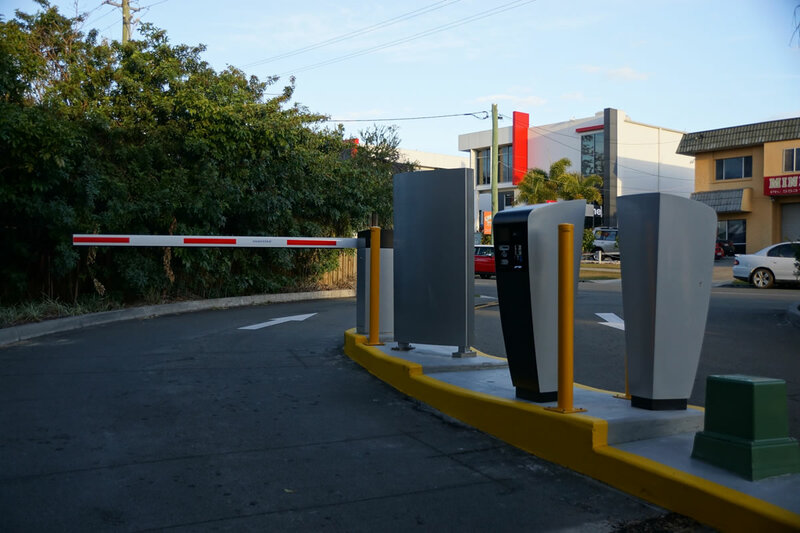 If you have a car park, a boom gate with ticket system is the perfect way to make money. As a vehicle approaches, they will be required to take a ticket, and the boom gate won’t let them leave until they have paid for their parking time. Especially if your property has a car park in a central or popular location, fees from car parking can be a very lucrative business. Are you sick of people driving around and having a sticky-beak at your property? If so, a boom gate will give you instant privacy. If you have a commercial property and want to protect your intellectual property, trade secrets, and prevent theft, a boom gate is a great solution. And if you own a residential property, a boom gate can protect the privacy of your residents. As far as gates go, a boom gate system is the most economic use of space. Swinging gates and sliding gates require a larger space at your entrance. In contrast, a boom gate only needs a small amount of vertical space to swing upwards. Boom gates are very durable and made to last. They’re also built to withstand a fair amount of wear and tear, and are low maintenance. If there is a power failure at your property, a boom gate can be manually operated and switched to open. This will allow vehicles to exit safely and swiftly. If you’re looking for a boom gate system with all these benefits at a great price, contact us at Brisbane Automatic Gate Systems.